The headliner on Sunday's episode of "Celebrity Apprentice" wasn't anyone competing for the title; it was businessman Rob Burkle, whose $50,000 contribution to charity on Donald Trump's reality TV show had TV watchers buzzing. Burkle, who owns the Yucaipa group of companies, made a last-minute donation to Holly Robinson Peete's team during a challenge to raise the money by creating a fitness class for 24 Hour Fitness. 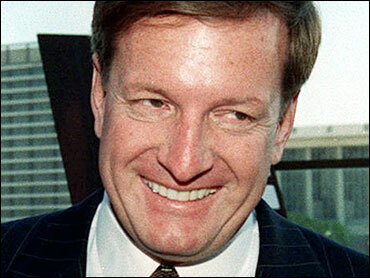 Burkle is a major political fundraiser and reported pal of former President Bill Clinton. He was listed as the wealthiest man on the Forbes 400 for 2008. The donation put Peete's team far ahead in fundraising - more than $200,000 - than the other team led by TV personality Sharon Osbourne. However, Osbourne's team won $25,000 for the most creative gym class with a Rock n' Roll theme featuring th VIP backstage passes. Even with that, the raised only $131,000. No one was fired, partly because both were winners - the most creative project just did not bring in the most money. It may also be because Peete, who is raising money for an autism charity, volunteered to share her winning check with Osbourne's charity, and because this episode raised more money than any other non-finale episode in "Apprentice" history. At the start of the session, the teams, previously divided between men and women, were reorganized. Trump put Sharon Osbourne and Maria Kanellis with Bret Michaels, and Curtis Stone with Holly Robinson Peete, Cyndi Lauper, and Summer Sanders. The episode ended with an announcement that rocker Bret Michaels was seriously ill with the announcer saying that everyone at NBC "wishes Bret Michaels a speedy recovery."